The day has finally arrived. 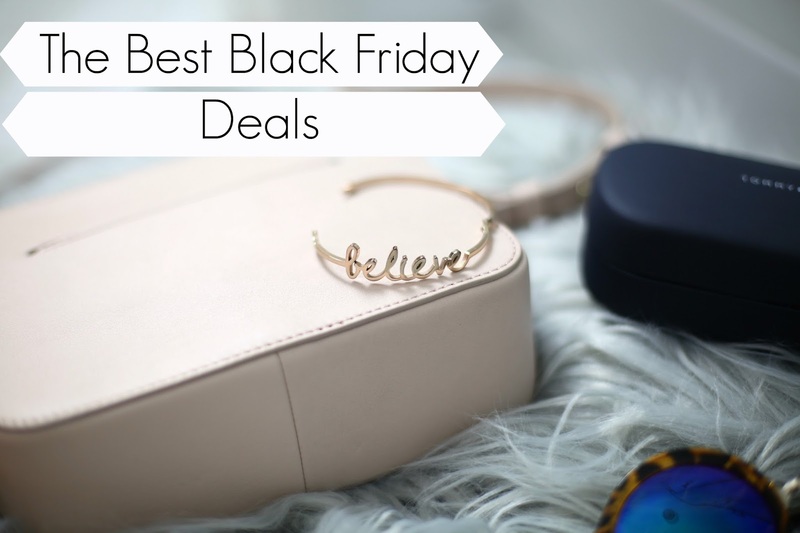 If you read my top tips to get the best bargains on Black Friday post, you'll know that I was planning on doing one big post, as I did last year, featuring all the top Black Friday deals. I'm so happy to finally share this with you, without rambling, simply click read more and all day I'll be sat by my laptop ready to update this post with the absolute best sales this Black Friday. These mainly work worldwide, which is great! Get ready to shop and save with my simple list of all the top sales in one place. Maybe it'll give you some inspiration for some Christmas presents too! I know I'm doing all my Christmas shopping today, so join me! Let me know if you grab anything and feel free to share this post to help anyone else with a guide to the best Black Friday sales and savings! (P.S, the beautiful bracelet on the top of this photo can be found online here, and the bag online here - both in the Black Friday sale of course!) I'm leaving images of all my favourite pieces below too for you, to make it even easier! Starts: 24th November and ends 27th November. 30% off everything! Prices from £2.99!!! Keep checking back for Olympus cameras! Complimentary monograming & next day delivery. 50% Off Everything. Offers changing all day. Gifting Weekend - Up to 50% off Selected Lines. 50% off 5 regular-priced items. Up to 90% off your favorite designers including Stella McCartney, Balmain & more. 30% off After Signing Up. 20% off everything at Kiehl’s UK with the purchase of 2 or more products! Starts: Friday 25th November and Saturday 26th November. 18% off with code: RUSH. You can watch my new video below featuring some Christmas gifts, mostly in the Black Friday Sale! Pretty please subscribe to me on YouTube here! Click here to shop more Christmas ideas in my hand selected Christmas guide. More gift guides coming this weekend! You can find some Christmas gift ideas for him here too! Keep an eye out for more! I will be updating this page all day Friday! Let me know if you're shopping Black Friday this year!